Benedict Clouette: What is it that interests you about the idea of real estate development as an academic discipline? Why frame it as a discipline autonomous from the practices of development in the profession? 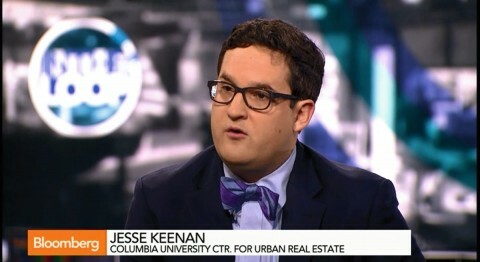 Jesse M Keenan: I see real estate as having a disproportionate influence on the decisions that are made concerning the design and construction of the built environment. And, in my own experience, I have observed the modes of communication through which developers have engaged design and urbanism, and I’ve seen that the decisions made based on this communication have resulted in a higher or lower quality of designs and/or spatial or environmental outcomes – generally lower quality outcomes. To me, this speaks to a very practical need to promote the professionalization of real estate, as the consequences of getting it wrong are significant. To this end, professionalization is a function of both private and public obligation. What distinguishes a profession from a trade is ethics, which has been historically grounded or rationalized as a public obligation by virtue of social contract theory in exchange for the exclusive right of practice. As a more practical matter, a profession is self-regulated and perpetuated by ethics, and the only way that you can have an ethic is through the elaboration of a theoretical framework that connects the decisions, the language, and a higher order of intelligence to the external phenomena that drive the subjectivities that ultimately shape the built environment. BC: So you’re suggesting that without a discipline, there is no profession? JMK: I think you could argue that both the profession and the discipline of real estate development are in the process of coming to fruition; but, to create a discipline on which a profession is based, you need not only a theory but also a historical narrative. All disciplines share the commonality of having both a theory and a history. Without those, you really can’t build an evolving professional ethic – or, a notion of value, and of course one of the mechanisms of differentiating real estate from other built environment disciplines is the notion of value. If, as a profession, we want to create a sensitivity to value or even to redefine values, history provides many examples. Kate Ascher’s piece in this issue of Volume looks at Samuel Ruggles [the 19th century developer responsible for New York’s Gramercy Park and Union Square, ed.] and John D. Rockefeller, [Jr., the financier who bankrolled New York’s Rockefeller Center, ed. ], two historical figures that were very sensitive to the public realm, and saw that as a value-driver. Likewise, Catherine Ingraham’s piece advances the richness of theoretical foundations that have yet to be explored. How does one underwrite this expanded notion of value within the conventions of mortgage or financial underwriting, for instance? It’s a bit of a challenge, but it’s not a methodological impossibility. I think that to recalibrate these notions of value, and their hierarchy within the process of development, it requires a rigorous discipline with its own history and theory to inform the profession. Without a discipline, a profession is dependent on other allied disciplines, for example, urban planning or urban design, which are probably the most closely related cousins of real estate development, but have their own ideological and intellectual imports and biases. I think these other disciplines do not provide clarity with regard to the types of decisions, the modes of analysis, and the variability that exists in real estate development, which operates at the intersection of economy and design. Of course, there’s much to be learned from other disciplines – design, in particular – but I think that the expertise they provide is not quite consistent – particularly at scale – with the challenges that we face in real estate today. Jeffrey Inaba: Can you talk more about an ethics for real estate? What would that look like? JMK: The origins of real estate development as an academic discipline go back to the early studies of land economy at the turn of the last century. Early in the evolution of the discipline, the diversity of real estate practice – from brokers, to land developers, to planners – led to substantial frictions, speculation, and even fraud in the market caused by indeterminate unregulated practices. It came at a time of tremendous growth in population, and therefore in demand for housing and real estate, and the need for internal regulation by virtue of a codification of ethics became very clear as a function of bringing stability to very unstable markets. There were two sides to the debate within the dominant professional body of the day – the National Association of Real Estate Boards. One faction, later to splinter off and become the Urban Land Institute (ULI), argued for a codification of ethics, as a practical necessity that would unite the real estate practices under a common profession. The other faction, which would later become the National Association of Realtors, disagreed, citing the adversarial position of real estate professionals within the economy, and the fact that they benefit from asymmetrical information. Their argument was that, short of committing fraud, they didn’t have any higher duties other than the promotion of transactional real estate. Fair enough, but even still, all economic transactions require some measure of trust, for example, trusting that brokers are acting in your best interests and are not colluding with other brokers just to close the deal. If you look at the history of regulations and real estate law in the United States, there are tremendous problems with exactly that kind of corruptibility – we are still dealing with it in the mortgage servicing industry. That and other similar problems could very well have been mitigated by adopting a framework of ethics. More importantly, I suspect that we would have a much higher quality of built environment today had real estate developers developed a more sophisticated ethical construct which translated into the quality of the buildings that they produced. BC: Part of CURE’s mission is to introduce new values and ethics into real estate development. But, to play devil’s advocate, why should a developer listen to CURE? What advantage is there for developers to look outside the values that they’ve been using for their whole careers? JMK: You might say that real estate serves a very simple function – housing people and commerce – and the modes of differentiation are only somewhat variable. However, this perspective is based on certain assumptions about environmental, economic, and social conditions that have been fairly static within the last several generations, at least in developed economies and mature cities. The complexity and concentration of the urban form now amplifies the impact of small changes in people and places. Consider climate change in the Netherlands (i.e., specifically not enough water), or the aging society in Japan, or countries shaped by violence, for example in Mexico. In each of these countries, these changes are not only driving the social construction of buildings, which then manifest themselves in material construction, but they’re shaping the very abstractions of supply and demand which will reverberate for generations. Of course, everyone could just build the same product. But, the work of CURE provides an opportunity to evaluate and test a range of alternatives that can not only mitigate the risks of the unknown but add value; and, by extension, we seek to translate these value-added innovations to differentiated real estate products and urban models that balance these present and future interests. Ironically, we tend to think more about the future than the urban planning discipline these days, which is often caught up in placating the interests of a very static perspective of ‘community’ in their roles as public advocates. Somewhere along the way, they forgot that planning should also serve the interests of people who are not yet born, or have yet migrated or immigrated to the jurisdiction for which they are planning. The world around real estate is changing at a rate that is far greater than the capacity of the industry to adapt to it. In my work on the topic of adaptation, I argue that adaptation is not just a theory or a framework for responding to climatic and environmental conditions, it’s a framework for changing environmental, social and economic conditions. In many cases, many of these stimuli are changing beyond our institutional and individual capacities to comprehend and respond to them. I point to a distinction between fast violence and slow violence. Our bodies and our cognition are evolutionarily biased toward responding to fast violence: a bus is headed right at you, your brain fills with adrenaline, you’re ready to respond, and you jump out of the way. That’s fast violence. But slow violence – the transitions of our economies, of our culture, and our environment – we are not well-suited to understand. And that’s amplified by the problem that, when we build real estate, we’re making a gamble on something that lasts between fifty and one hundred years and is based solely on existing conditions at the time of design and development. When those conditions on internal designs change – and sometimes radically so – then we’re setting ourselves up for a built environment that will not only serve our core functions of shelter but will also absorb huge amounts of capital which will otherwise be wasted. Advancing an academic perspective provides an opportunity to aggregate knowledge and empirical information in order to reposition that slow violence as something that we can respond to, that we can act on, that can be operationalized in a way that would never otherwise be possible in our day-to-day existence given our various commercial and personal biases. JI: Isn’t what CURE does what a department should do? What distinguishes CURE’s work from what an academic department does? JMK: In research, you take risks: very often, there’s an experimental aspect where it is easy to fail; or worse, you spend a career trapped in a world of paper without application. Most academic units focus on the empiricism of the here and now. But, they aren’t necessarily well-suited for taking intellectual risks. For CURE, which performs this hybrid function caught between applied research and scholarly inquiry, that ability to take risks is something that is perhaps both an advantage and a burden. BC: In architecture, research can perform a kind of counter operation to the academy. Consider, for example, research into technologies of mass production in the early 20th century that was, in part, an attempt to resist the education that was being handed down by the Beaux-Arts educational system, and to question and displace that knowledge. And I wonder if CURE serves a similar function in relation to the academy. JMK: CURE is not necessarily aligned exclusively with the interests of the real estate industry or under the conventions of a real estate academy: in equal proportions, its students and faculty are from architecture, planning, and real estate. In that sense, we’re resisting an organizational structure that tends to silo knowledge, silo skills, and silo students and faculty. When you’re siloed, you have a tendency to think, where does this new information fit within the existing literature, or where does this sit within existing knowledge? Or, worse, how do we position this knowledge to fit within the status quo? Yes, it is important to contextualize new information with the status quo and to submit to the critique of an academy; however, one has to temper these considerations with a certain path-dependency that can lead to a trajectory which is grounded in historical empiricism, which is an easy trap for the complacent. BC: In your research on adaptability, you’re interested in how to create longer-term value that is independent of changing economic and political situations. But real estate development itself is so ‘path-dependent’ on politics and economics. What do you hope to produce that can sustain itself beyond the short horizon of those circumstances? For example, Aldo Rossi offers the case of a Roman amphitheater in Arles that was later adapted to workers’ housing. The building as a material fact outlasted not only the political and economic collapse of the Roman Empire, but also a wholesale technological regression – the loss of the knowledge of concrete construction, which made the adaptation of that building to new uses enormously advantageous. Thinking about that example, I wonder which buildings will survive the current political and economic situation, which seems unlikely to last in a recognizable form for another two hundred years or whatever the horizon for a long-life building today will be. If I, as an architect, can imagine that what I design could, like a Roman amphitheater, outlive my civilization, what do you see as the corollary within real estate research? What aspects of the knowledge produced in the field of real estate development will be applicable beyond the market economy, or is it the buildings themselves, as material facts with a certain durability irrespective of social and economic conditions, that will endure? JMK: My goal is not to derive a specific output, but rather to position a capacity. I think the most we can hope for is to build a more robust capacity of real estate development professionals and organizations to create sensitivities to their changing environment. At the end of the day, it’s about judgment calls, and judgment calls are inherently subjective. Judgment can be reinforced with an analytical capacity, an ethical or moral foundation, etc, but we’ll never be able to remove the necessity of judgment as a subjective exercise grounded in both the art and the science. We can only hope to inform that subjectivity through a more sophisticated notion of values and interests which are operationalized as a capacity to adapt. Even with all of the most sophisticated machine learning and adaptive building systems in the world, a building and an industry will still resolve itself to adapt by virtue of human judgment. JI: Is the discipline of real estate like the discipline of economics, in that it has a quantitative driven side and a qualitative driven side? And if so, what do you see as the relationship between the amount of quantitative knowledge that’s available and the judgment that can be made in a given situation? JMK: Real estate financial management, which is different from real estate development, has a strong quantitative bias. I think the use of quantitative data is certainly powerful for informing probabilities and managing risk. In many ways, real estate is a distillation of risk. It’s a high-risk endeavor, in that the process of designing, developing, and building real estate is often focused on the managing, shifting, and transferring of risk. In that regard, risk and the associated methodologies of risk management are biased toward a quantitative analysis and the utilization of large sets of data to derive some probability of particular outcomes, whether that is an expected value or standard deviation of an internal rate of return. The limitation of that analysis is its dependence on history – you can only build upon phenomena that have occurred to date. But in order to look into the future, to experiment and to speculate, I think that those histories, and the dependent empirical data, are of limited utility. Had people better understood the limitations of history on their underlying methodologies, the financial collapse led by the mortgage market would not have happened. But it doesn’t mean that we shouldn’t qualitatively evaluate and interpret the quantitative information. Very often in real estate development, as in many fields, you’re making qualitative assumptions, determinations, and interpretations in relation to quantitative information and analysis. The absolute, statistical application of quantitative information is not very helpful without qualifications. Finally, the two sides are dependent on each other, and that’s very much the case in real estate development. But, I have my own bias toward qualitative research. I understand the power of quantitative methods and theories that rationalize quantitative information as a function of the scientific process; but, I’m a qualitative social scientist. That’s what real estate is – it’s a social scientific phenomenon, so qualitative methods are indispensable. However, I am also an artist and I have to constantly resolve and mediate the art and the science, as is consistent with the larger practice of real estate development. And that’s the challenge for ethics in real estate: what is the capacity for any profession in the built environment to establish ethics, if ethics are a wholly subjective and localized social phenomenon, and cannot be easily ratified through quantitative outcomes? If we develop ethics in the United States, are those going to be the same as the ethics in Brazil or China? Absolutely not. They may mutually speak to a neoliberal transactional economy, for better or worse, but they’re not necessarily going to reflect either the judgments of professionals, or the moral foundation by which a society orders itself. I think real estate and the property it is built upon is nothing more than a mirror of those orders and values. 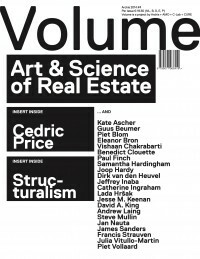 This interview was published in Volume #42, ‘Art & Science of Real Estate’.